Logan Seavey arrived at the Chili Bowl Nationals on Monday and scanned the list of names who would be competing with him that night. He didn’t recognize about half of them. 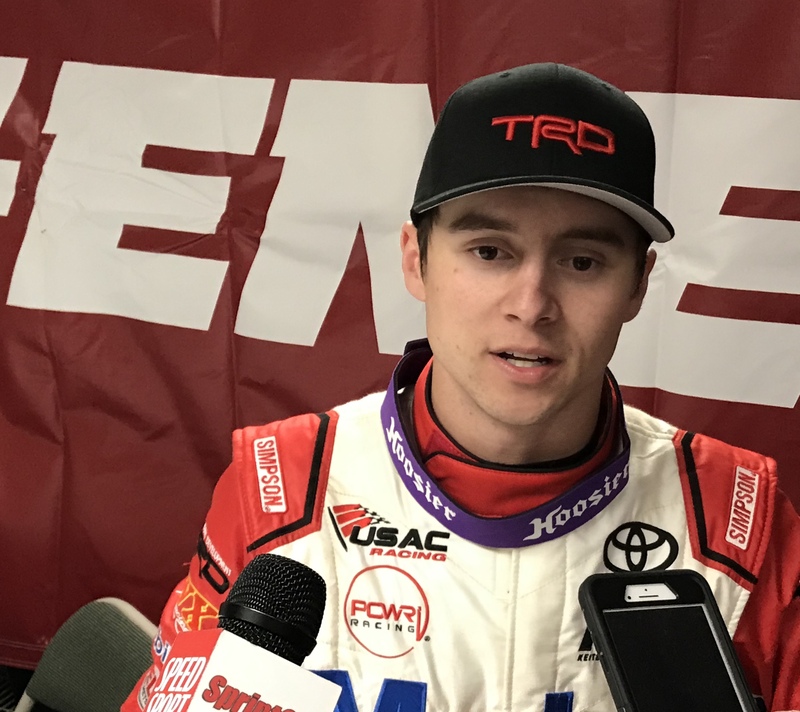 At a normal race, that would come as a shock to Seavey; after all, you’d figure the USAC National Midget Champion would be quite familiar with other midget drivers. But this is the Chili Bowl, which is perhaps the ultimate open event in sports. Anyone can enter, regardless of previous racing experience, and compete against the likes of Seavey, Kyle Larson or Christopher Bell. Yes, even YOU — the person reading this — could be out on the track tonight. You could pay the $150 entry fee ($200 if you waited until the last minute) and rent a low-tier midget car for about $3,000-$5,000. Or, if you wanted one of the best rides in the field, you could go big and pay $10,000-$12,000. You’d draw for a heat race position along with the other drivers who have chosen to run their prelim that night and maybe even line up next to a big name when you take the green. Have no idea what you’re doing? That’s OK! You’ll get a few minutes of practice to figure it out. Two years ago, the affable World of Outlaws videographer Ross Wece decided to enter the Chili Bowl with no previous racing experience. Other than the fact he flipped during his prelim night (it happens! ), Wece got to make laps and be part of an iconic event in the dirt world. If you look at the Chili Bowl Saturday results from 2017, Wece’s name will always be there — albeit in the O-Main. That’s not to say the majority of the 360 entries at the Chili Bowl are amateurs. But there’s certainly a wide variety of skill levels and motivations scattered throughout the field — some people just come for the party — which can be a scary thing for someone like Seavey, who is taking this week quite seriously. Imagine being a driver who has dreams of winning the Chili Bowl, not just competing in it. Heat races are only eight laps, and if you have a bad heat race, your Chili Bowl is potentially over — at least in terms of any realistic chance of making it to the A-Main on Saturday. There’s no qualifying for the heats, so your starting position is just a random draw. A top driver could line up alongside a far lesser talent — and see their week completely ruined by someone else’s mistake. Sweet said his philosophy is to let everyone get through the first corner, hope they get single file and then be patient, knowing his car is good enough to start making passes. But a glance at the lineups will dictate how aggressive he can be — and eight laps isn’t much time to make moves. Other times, drivers can just look at the cars and tell which ones are going to be potential dangers. But that’s getting harder these days, said Oklahoma racer Brady Bacon. Fortunately for Seavey, Bacon and Sweet, each of them made it through Monday unscathed (though Sweet had to boot another driver out of the way during his heat race). Seavey won the A-Feature after also winning his heat race and A qualifier race, locking himself into Saturday’s big show. Bacon finished second and also secured a spot in the Saturday A-Main, while Sweet finished third and was forced into a B-Main on Saturday. “It’s a unique format, but the best guys always seem to get through it and be right there on Saturday night,” Seavey said with a grin. On Monday, he assured he’ll be one of them.